Today we kick off the mini PHOENIX by Elizabeth Richards BLOG TOUR! Author Elizabeth Richards is here today sharing a guest post and photos of how she pictures certain parts of the book, and what inspires her. Enjoy! Purian Rose stepped out onto the balcony of the Golden Citadel, adjusting the white cotton glove on his right hand. The sun had just started to set over the city, making the giltstone buildings shimmer gold. He was greeted by the melody of a million voices calling out to him across the metropolis, united in their evening prayer. Normally this would bring a smile to his thin lips. Centrum was his creation, his perfect vision of the world: purity, faith and power combined. But not tonight. How could he be happy when everything he had worked so hard for was in jeopardy? PHOENIX (A Black City Novel) is released on June 4. You can view the full synopsis on Goodreads. Visit the following blogs all week to see where Elizabeth Richards takes you next, and for more chances to win! OK, I need to read Black City and Phoenix. Am completely intrigued by the world and romance. Will be following the tour! Thanks! I loved Black City and can not wait to read Phoenix! OMG, OMG, OMG!! I can't wait to get my hands on Phoenix to read more of Ash's awesomeness!! I AM IN LOVE OF THIS SERIES ... everything is sooooo perfect ... you made my world ....so awesome ... and this book... blow my mind . 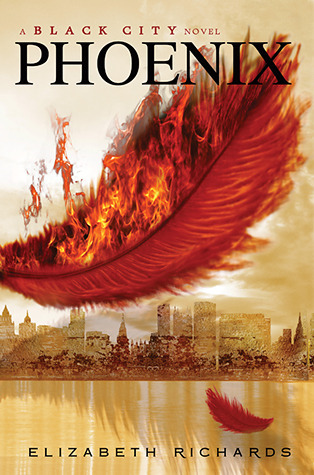 OMG, OMG, OMG, I can';t wait to get my hands on Phoenix!! Love the cover. "this usually means sending pictures of hot boys to my author friends and debating if he’d make a good character for one of our books." Ahhhh! Best description of writing ever. Thanks for the post! I love reading down-to-earth guest posts by authors. Eep!!! I got a chance to read it early. I absolutely LOVED it!!! I'm really looking forward to Phoenix and see how the world building progresses! I cannot wait for Phoenix! Thanks for the giveaway! I just read Black City. Can't wait to read this. I looove this series! Cannot wait to see where else Elizabeth takes these characters! I still need to read the first book. That glass city artwork is beautiful. I probably stared at it for five minutes. Some of the glasswork just looks so real. (real like a skyline/buildings, not just glass) I haven't read this series yet but it's been on my radar since the first book came out. Thanks for the giveaway! oh man Black City was epic so I cannot wait for the unfurling of Phoenix! Absolutely loved Black City ! Can't wait 'til Phoenix comes out :o ! Gorgeous photo!! Amazing covers for this series too! I absolutely cannot wait to read Phoenix! I just NEED to know what happens next!!! Thanks to Good Choice Reading for highlighting this author-- its the great things about blogs, we get introduced to a wide range of writers. Would love to be a winner! Thanks to Elizabeth Richards for contributing to the giveaway! I read Black City, and I can't wait to read Phoenix. Thank you so much for the opportunity to win! I'm very pleased to see Phoenix become available. I'd really like to win a copy. Thanks for the giveaway. 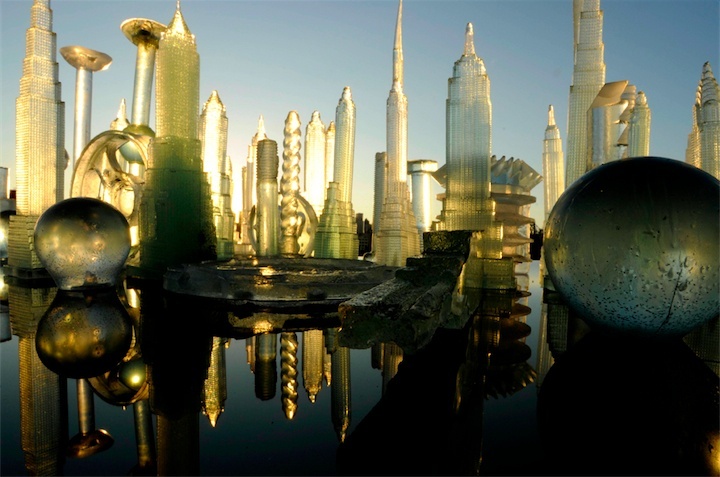 Wouldn't mind retiring at The Gilded City, it's mind blowing! So excited about Phoenix, fingers crossed. What a great way to share part of Phoenix by using images to introduce the excerpts. Super excited to read this one! I cannot wait for Phoenix, I loved Black City so much!! Really enjoyed Black City, so can't wait to read this sequel! That Pin is beautiful, and now when I reread Black City and FINALLY read Phoenix, it will be in my mind and make the story even better. And that excerpt just makes me very impatient. Can't wait for some more pins! I have Black City sitting on my shelf, I really need to read it. But now I can read the two back to back without the wait! I haven't begun this series yet, but it looks fantastic. So excited for Phoenix!!! WOOOHOOO! CAN'T WAIT TO READ PHOENIX!!! Aweeeesome!! These sound sooooo good. I really need to read them! I am in love with Black City's and Phoenix' covers!! !